Cape Verde took me by surprise. 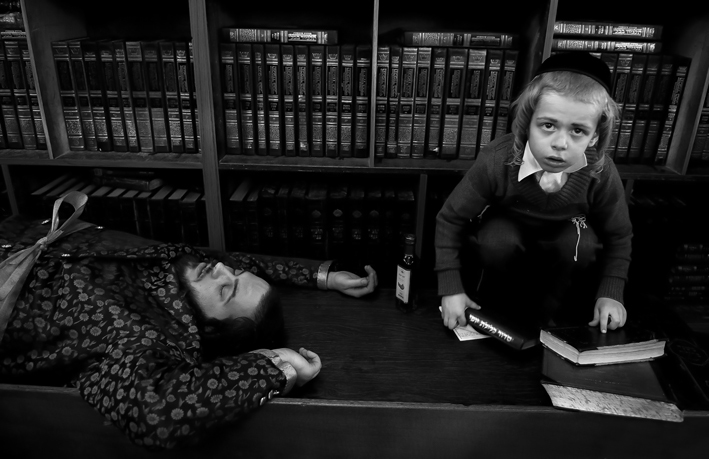 You see, I had imagined a kind of Canary Island light. But there were no British newspapers in the shops, no Scandinavian cheeses on the menus, and most importantly – no neon colored beach toys or beach towels for sale. In other words, this is no Canary Island. 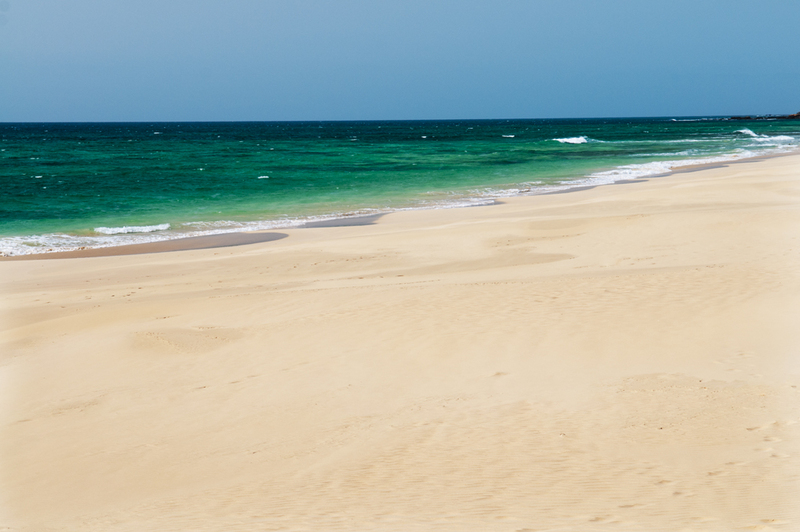 You may not even have heard of Cape Verde before, and I don’t blame you. It is an archipelago consisting of ten islands, situated off the coast of Senegal. 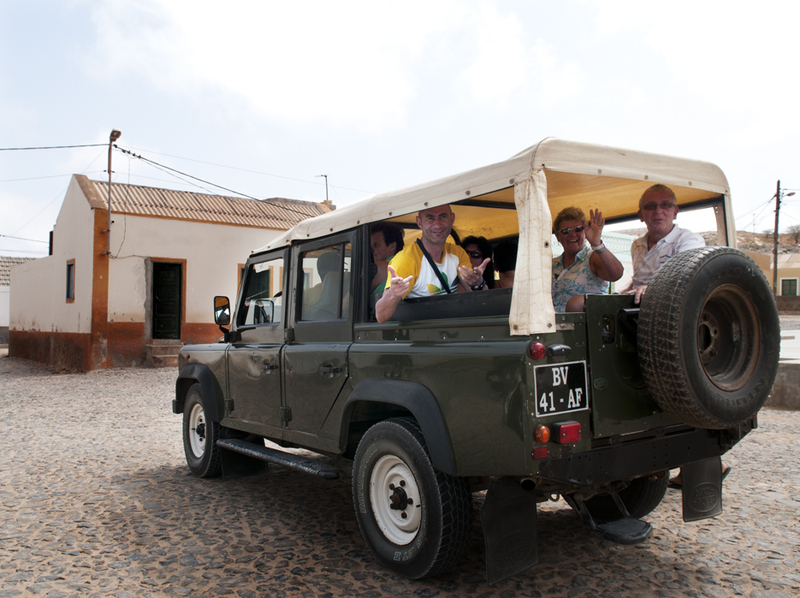 It used to belong to Portugal, but gained independence in 1975. Find out more facts over at wikipedia. So what’s the allure? 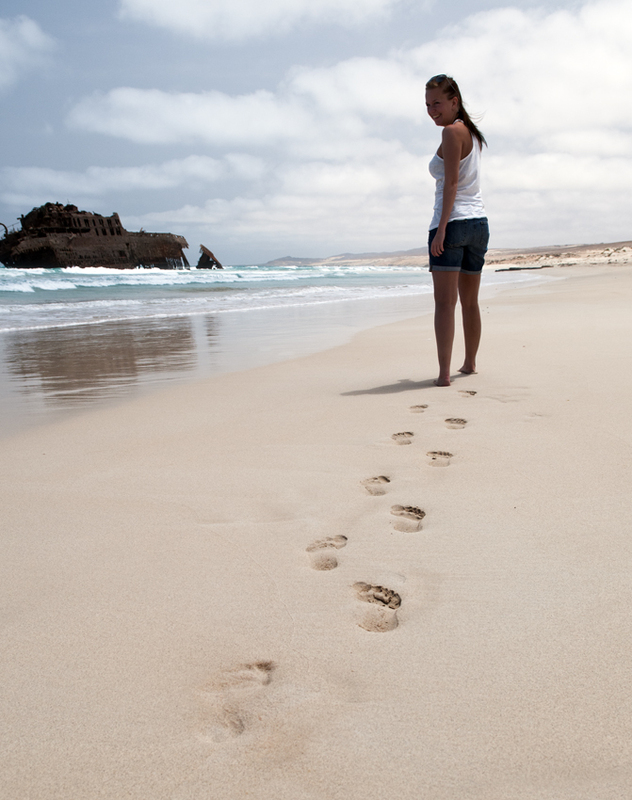 What makes Cape Verde worth your time, rather than spending your holiday somewhere more predictable? Well, did I mention there are no British newspapers around, or weird Scandinavian cheese to be found? I believe I did, and if that has a nice ring to it in your ears, you should keep reading. Or rather, keep looking at these pictures. After all, a picture says more than a thousand words, and there’s no way I am about to cough up a thousand words about this place. Not now anyway. 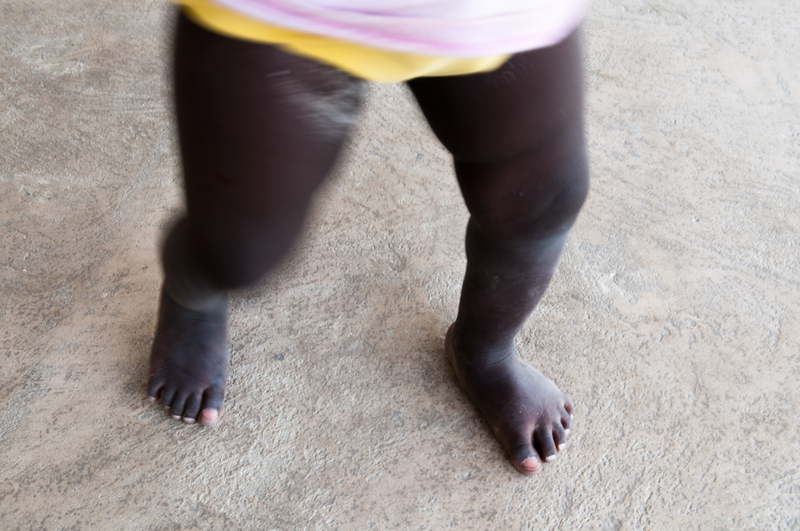 These shots are taken at the island called Boa Vista. It is a flat island surrounded by wonderful beaches. However, remember that this is the Atlantic, so expect waves. 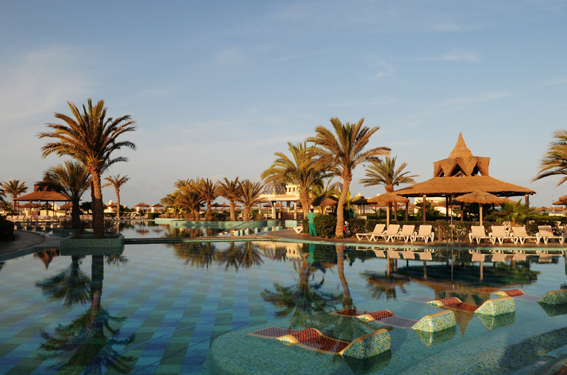 When I visited (march 2012), there were only two major hotels on the island – the Riu Touareg and the Riu Karamboa. These are perfect if you don’t mind queuing up in the dining room, lying side by side with other tourists by the pool and of course, appreciate a bit of 5 star luxury. The rest of the island remains pretty much unchanged, including the road system which is only paved and prepared between the airport and the before mentioned top end hotels. 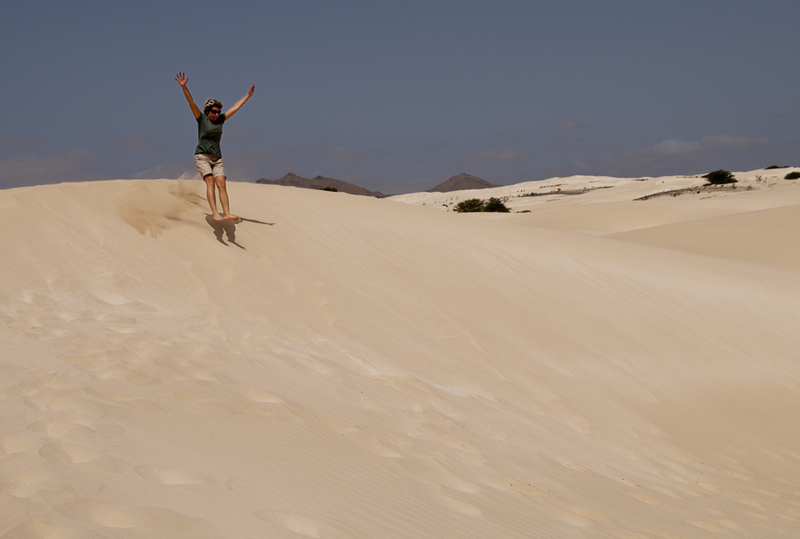 Not far from the airport in Boa Vista, you’ll find some pretty amazing natural sand dunes which pretty much offers everything you’d expect to see in the Sahara itself, apart from camels. Good fun for kids of all ages! I am sure I am not the only traveler out there who is a self declared lover of lobster… however, whenever you order lobster at a restaurant, more often than not, I end up a little bit disappointed at the small size of the portion. I mean, if I order lobster, I want to eat lobster, not a whole lot of side dishes like salad or potatoes with sauce. It just doesn’t do it for me. 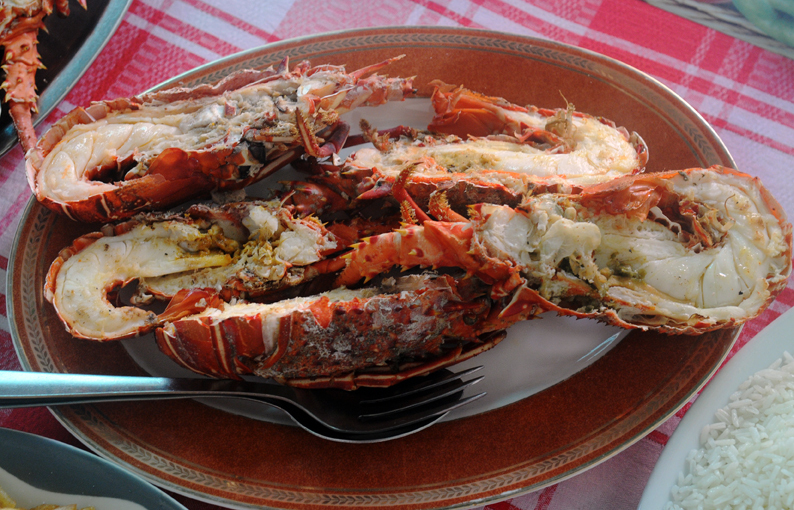 And trust me, once you’ve had lobster Cape Verde style, it won’t do it for you either. It comes by the bucket load! Honestly, our supper at the very modest hole-in-the-wall restaurant ‘Naida’ in the capital Sal Rei turned out to be a massive feast. So much so that we couldn’t finish the delicious white meat, and had to leave a lobster tail or two behind. Shame on us, I know! 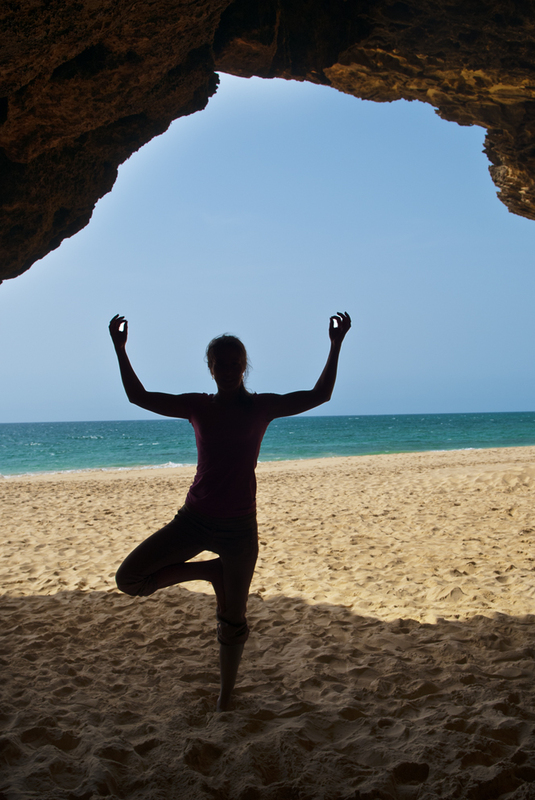 Boa Vista is a cultural island where traditional dancing is still very popular. But forget boring, old traditional dances which I at least associate with the word traditional dancing. Fanuna is more like tuning into a sizzling hot MTV video where the participants wiggle in ways that are unknown to me. As a tourist you’ll get plenty of opportunities to join in. Either as a true tourist in one of the hotel complexes, or in the container come night club called Masurka just out of Sal Rei. 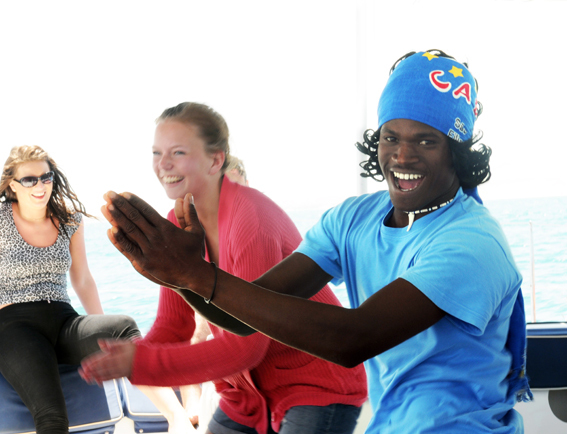 Either way – just dance! 4 – SPOT THE WHALE! 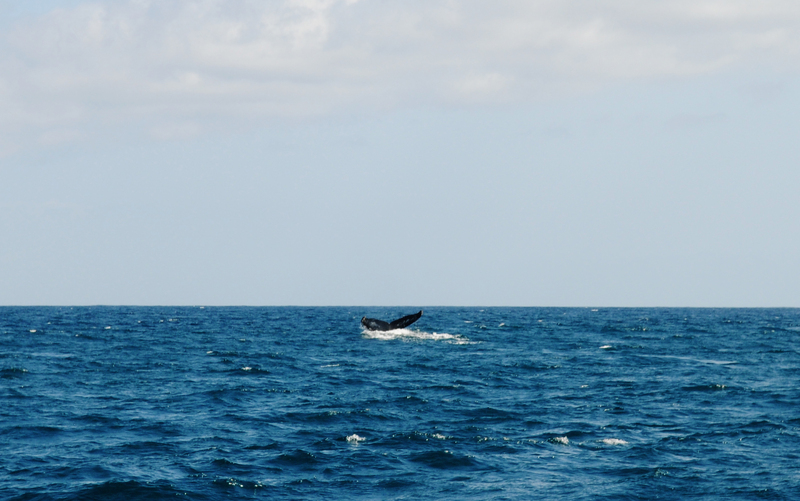 Whale watching is exciting business, especially when you go out on fancy catamarans where you can enjoy a truly spectacular day at sea. We saw several humpback whales, and loved every second! 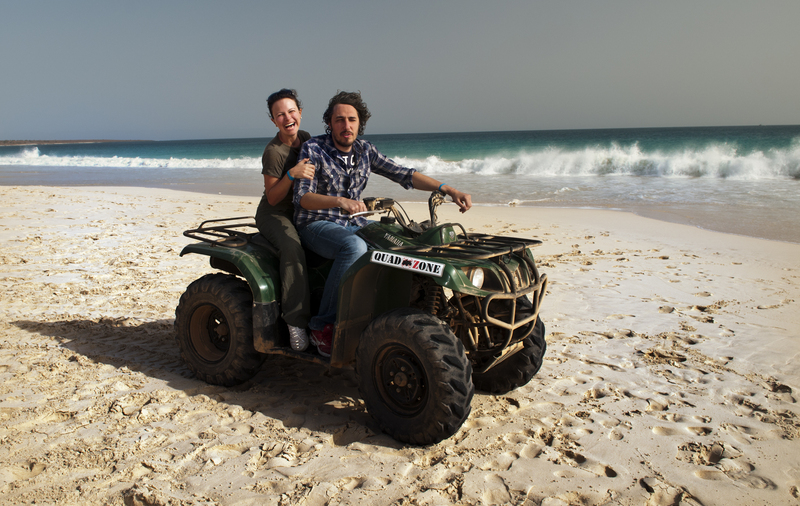 You can see the whole of Boa Vista in less than a day, and if you take part in an organized tour, you’ll be taken to the famous ship wreck Santa Maria, then whizzed off by a 4×4 to the Santa Monica beach which is the island’s most spectacular stretch of sand. Along the way you’ll stop off in some remote villages where life just seems to be going by without anybody taking notice. You will also be shown around the capital Sal Rei which has a lovely bay for kiting and sunbathing. Oh, and you’ll see plenty of flat, hard moon like landscapes which is what this island is all about. Grey, dilapidated buildings along narrow streets devoid of any signs other than temporary pieces of paper announcing religious events. Bearded men in black hats and long coats. The occasional woman dragging her long skirt along the ground while tugging a bunch of kids along. 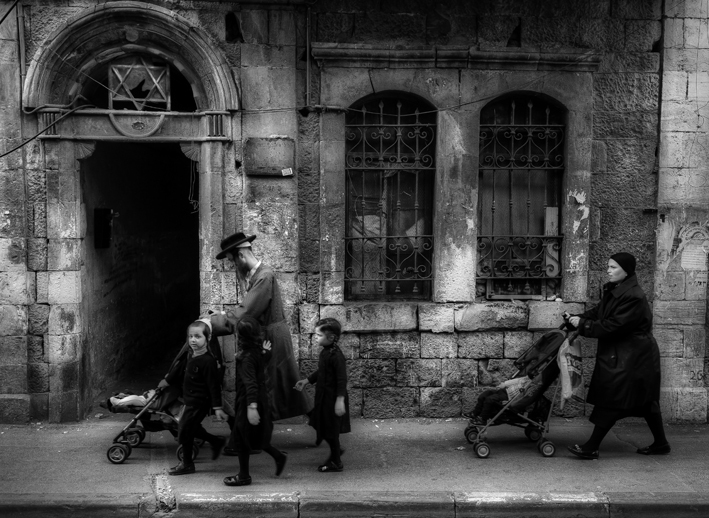 You could be forgiven for thinking you have just walked into a Jewish neighbourhood of pre war Eastern Europe. However, it’s present day business as usual in Mea Shaerim, a short walk from Damascus gate in the old, walled city of Jerusalem. This is home to the Hasedim people (ultra orthodox Jews). This is where I decided to celebrate the holy festival of Purim. What I discovered was a very conservative religious group of people who’s passion allows them to leave their inhibitions aside once a year, and celebrate in a manner that could easily be misinterpreted by outsiders. As a photo journalist I was able to join them in their celebrations, but it was made abundantly clear to me that other journalists in the past have sensationalized their behaviour. Yes, they are drunk. 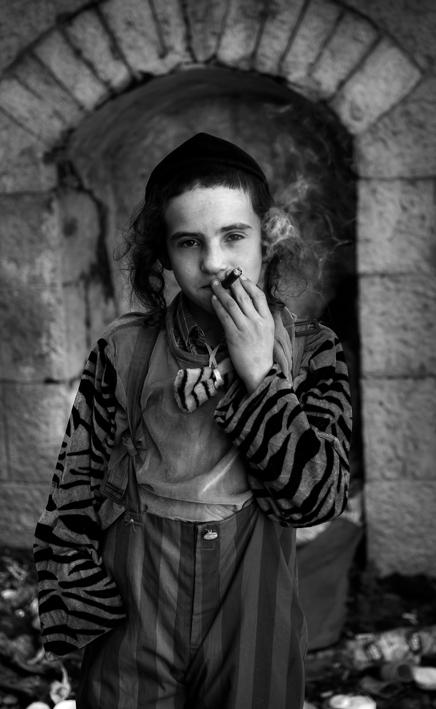 Yes, there were under age kids smoking. Yes, there were grown men doing summer saults down the middle of the road. However, they insisted that this was all part and parcel of their religious belief. As a token of my appreciation for allowing me in, I would like to take this opportunity to invite all the Hasedim people out there to contribute in creating my picture texts. 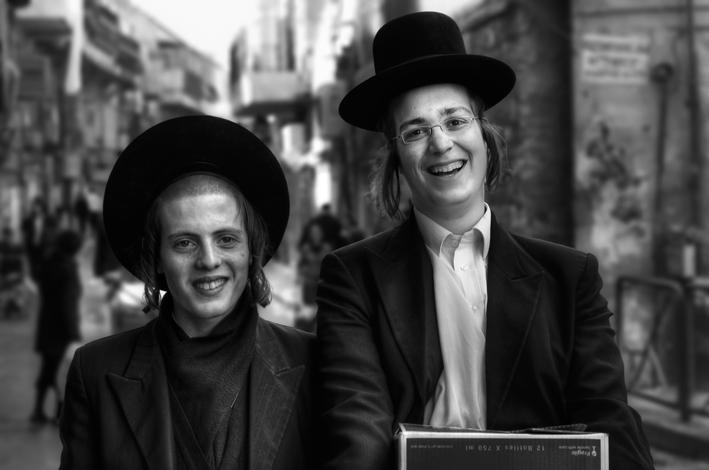 My collection of images from Mea Shearim can be found here. A final thank you to all the residents of Mea Shearim for making my visit so special.